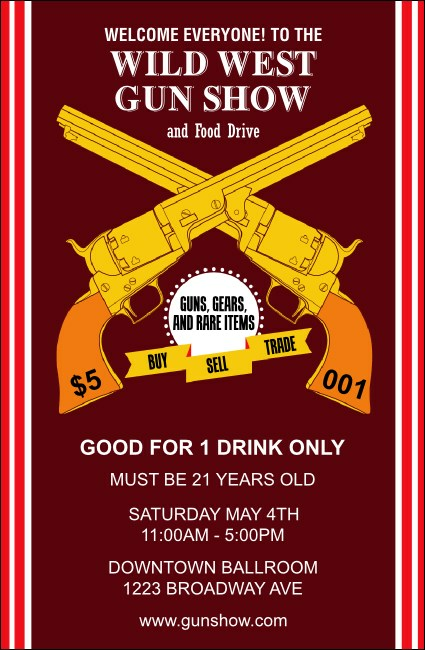 Bring order to your wild gathering when you hand out the Gun Show Drink Ticket. Clear white text stands out on a deep maroon background, with two yellow guns crossed in the middle. Guests can easily see what you have to offer and service staff will appreciate the extra help!